Betsafe – 60 Free Spins on three slots! Simple and straightforward promotion at Betsafe this weekend, running until Sunday midnight. Wager minimum €50 in total until 15th January 2017, 23:59 CET on three Betsafe exclusive slots and receive 20 Free Spins on each, can’t be any easier. Great value for money. Betsafe not yet your gaming and betting hangout? Then sign-up now to enjoy their superb €1,000 Welcome Package. To qualify for the Free Spins you need to wager €50 in total before 23:59 CET on Sunday on the three Betsafe exclusive slots: ‘Power Force Heroes’ and/or ‘Power Force Villains’ and/or ‘Dragon Shrine’. 20 Free Spins on each slot, making it a total 60 FS will be credited on Monday, 16th January 2017 by 18:00 CET. The winnings from the spins are added as bonus and carry a 35x wagering requirement within 3 days. Wagering on slots contributes 100%, table games only 40% and all Black Jack Games, all Roulette Games, all Video Poker Games, Baccarat, Punto Banco and Oasis Poker just 5%. 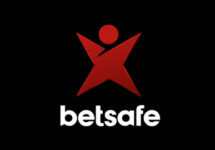 Betsafe Bonus Terms and Conditions apply, read them carefully. Casino Kickbacks – Daily rewards and offers at Betsafe. Simply login and click on the current day on the promotion page to reveal the latest offer or reward. They can be Cash-Stacks, Free Bets, Free Spins, Deposit Bonuses, Tournaments, Happy Hour, Lunchtime Power Hour and more. On Sunday players can claim a 25% LIVE Casino Cashback Bonus on net losses, up to €100. Play Blackjack or Roulette in the LIVE Casino to qualify. Cashback is credited on Monday by 16:00 CET and comes with a 10x wagering requirement within 3 days. 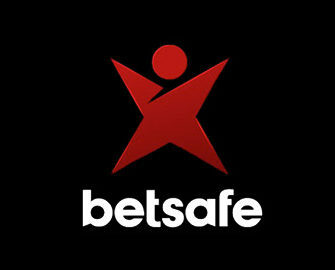 Betsafe Terms and Conditions apply. Launched in 2006, the casino is operated by BML Group Ltd. under MGA and UK licenses. The player has the choice of mobile or desktop platforms with Casino, Sportsbook, Live Betting, Live Casino, Virtual Sports and Poker. The Casino section has a large array of games from Netent, Migcrogaming, Ongame, Play’n Go and Evolution Gaming for the Live Casino. A seemingly endless list of currencies and payment methods such as Bank Transfer, Citadel, ClickandBuy, Entropay, Fundsend, Instant Banking, Maestro, Mastercard, Neteller, Przelewy24, Skrill, Speed Card, Trustly, Visa, Visa Debit, Visa Electron ensure fast and secure deposits and withdrawals. The website is available in English, Finnish, German, Latvian, Norwegian, Polish, Swedish languages and Customer Support is provided 24/7 via Email, Phone and Live Chat.